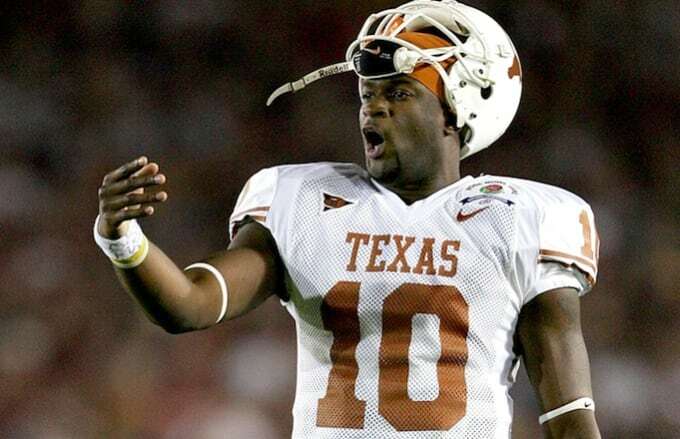 After an insane 2006 Rose Bowl performance by Vince Young which saw him amass 467 total yards (267 passing, 200 rushing), score three touchdowns and single-handedly leading the Longhorns to a 41-38 win over the USC Trojans, it&apos;s hard to believe that VY would&apos;ve even entertained the possibility of staying in Texas for his senior year. However, earlier today in his discussion on The Lowdown with Alex Loeb on 104.9 FM in Austin, Young admits that if knew one minor detail ahead of time, he would&apos;ve held off on declaring for the NFL Draft. "It was very close. The Texans had the No. 1 pick, that was the place I wanted to play at. I wish they would&apos;ve told me that they weren&apos;t picking me because I would&apos;ve stayed for my senior year. 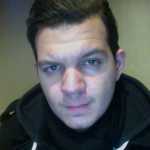 But it didn&apos;t happen like that." Instead, Young was taken third overall by the Tennessee Titans after Mario Williams and Reggie Bush who were taken No. 1 and 2 overall, respectively. But don&apos;t feel too bad for Vince because he admits, "Being a kid watching the Oilers all my life," Young admits. "I had the opportunity to play for them, it was a dream come true as well." The following year, the Oakland Raiders assumed the No. 1 spot, where they took JaMarcus Russell, while the Texans fell all the way to No. 10. Now, could you imagine Young rocking the silver and black if he stayed one more year? Or, how Raider Nation would&apos;ve felt about having the opportunity to take Young over Russell in the 2007? That would&apos;ve been a very interesting sight, no?